American Prime invites you to discover the real "Prime" flavors now available in Tysons! Specializing in Smoked Prime Rib, Artisan Charcuterie, and Dry Aged Beef, all made in-house. You are sure to taste the difference our quality and care makes! The muscles and the French onion soup were delicious! The appetizer cheese board and the wedge salad were good. But the steak entrees were bad and in edible. I ordered the filet which was so hard to cut, was not tender and had a big vein in the middle I couldn’t chew. The seasoning was sour and I sent it back. My fiend ordered the ribeye which was a mess of fat and non-tender steak. She sent that back. The side of gnocchi had no flavor and the wild mushrooms had a sour taste. Their seasoning is not good overall. Desserts were great and the service was very good also. I’d stick to the bar area and appetizers. Very accommodating. Willing to make off menu changes. Service and attention to detail above average. Mushroom encrusted ribeye was wonderful! Wonderful evening celebrating our anniversary at American Prime. The meal was delicious and our server was delightful. I have already decided we need to return for my birthday so I can try a different entree. I think I'll have the key lime pie again since it was perfect. I highly recommend you give this restaurant a try and enjoy! 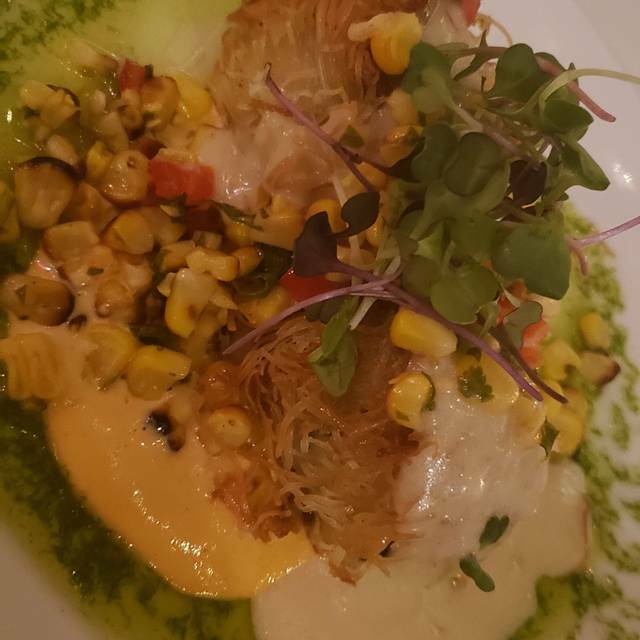 The best dining experience that I've had in Northern Virginia out of my 21 years in the area. Thank you! The steak salad was excellent for lunch. We had a business lunch and were put in a corner where it was quiet where we could talk. Everything about the experience was really fabulous. Looking forward to going back again. We went on a Sunday night. No one else was there. The vegetables that came with the meal were dried and shriveled potatoes and twice warmed zucchini. Otherwise, everything was fine. I guess that the weekday lunch hours are their peak hours. Great service! The duck mac & cheese and the grad cakes were amazing. This was a birthday dinner. We were also there for Valentine's Day. Food is amazing, service was the best and a great place for dinner. My concern is that enough people do not know about this restaurant. I live in the neighborhood and never see the restaurant advertised plus you don't see it when driving by the office complex it's in. Great place in Tysons!! Definitely going back again. 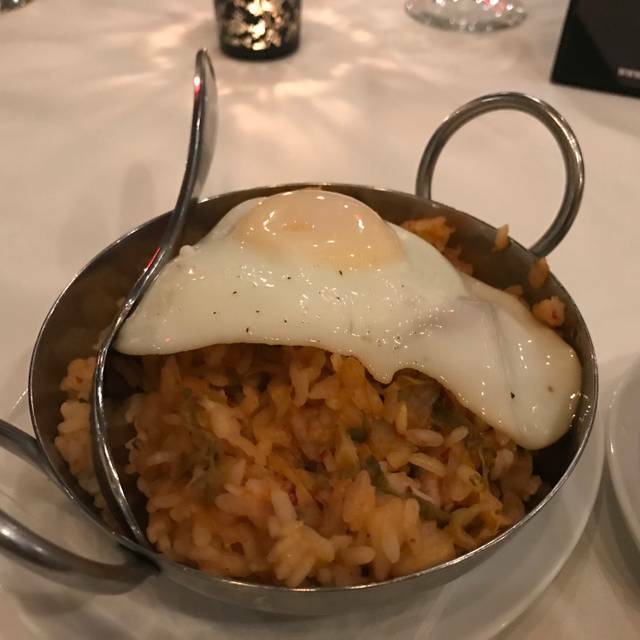 The food was great and the service was A+. Took my wife, mom, and dad here for lunch. Food was just ok. The shrimp and crab poppers were great, but everything else was average. Everything was delicious! Nice, leisurely dining. We both enjoyed two spicy shrimp/crab poppers because we each had a coupon for a free appetizer with entree purchase. Our filet had the bone marrow butter sauce which added good flavor. Both our steaks had to be cooked a bit more. I ordered medium rare while my husband ordered medium. His was still pretty medium rare but very tasty. We thoroughly enjoyed a 2015 St. Francis zinfandel. I ordered the flourless chocolate cake to go. I added cool whip at home which made it absolutely delicious. This restaurant was amazing the service was on top of everything and the food was amazing. Valentine Day - service was awesome. Place was hopping! Happy I had a reservation. Service was outstanding we truly enjoyed our first visit and can’t wait to go back! Our steaks were over cooked. My Caesar salad had brown lettuce on it and no dressing. Very good service. Nice options for lunch but wish they had a petit steak offering. Will go back and try dinner! The waitress was really nice and charismatic! I did a business dinner here and it went well. Food was great and the environment was relaxing. All the workers were so nice and accommodating! Great food and service but ambiance is lacking. It is really hidden and could be more lively. Great place to go myself or with a group of friends. The food was delicious! Great service as well. The waiter made a huge difference (his name is Oz). 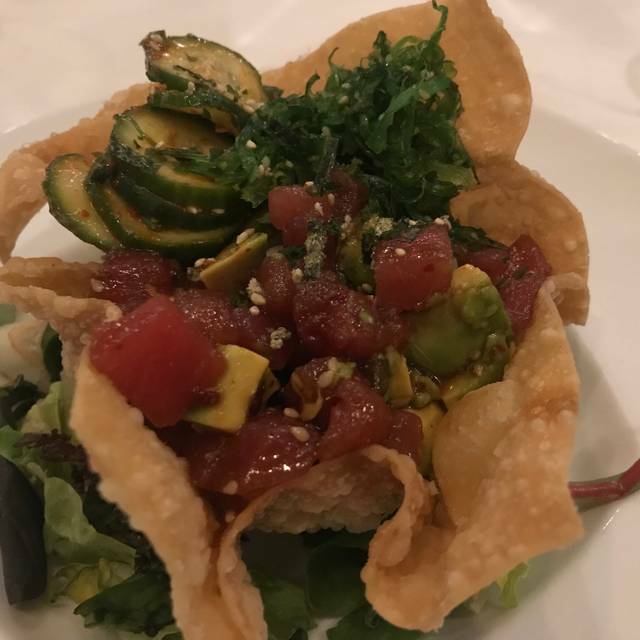 I came here during Restaurant Week to celebrate a happy family occasion and was very impressed. Upon walking in they offered to take our coats for a coat check, and they guided us to a table (on my online reservation I asked for a private table not in the center of the dining room). They were very professional throughout the whole visit. The waiter was great but even more was the host (she had red hair). She was AMAZING! Very considerate and was on the ball. The filet mignon was delightful. 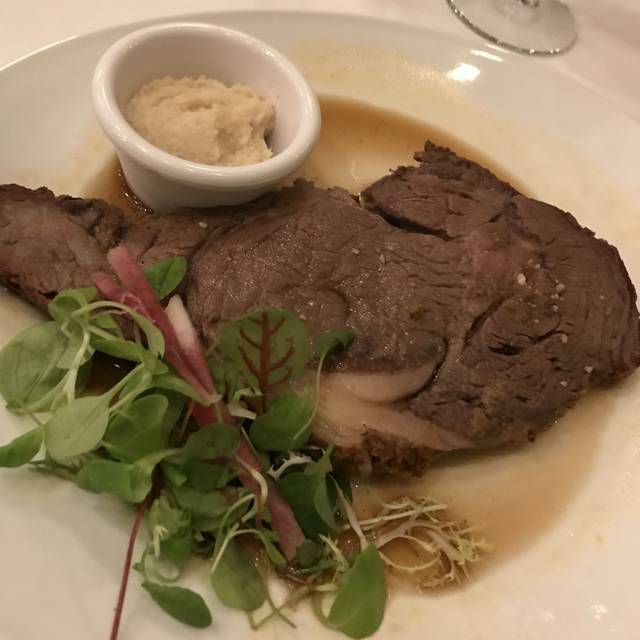 I was a little disappointed in my Prime Rib, but it still was very tender and savory. 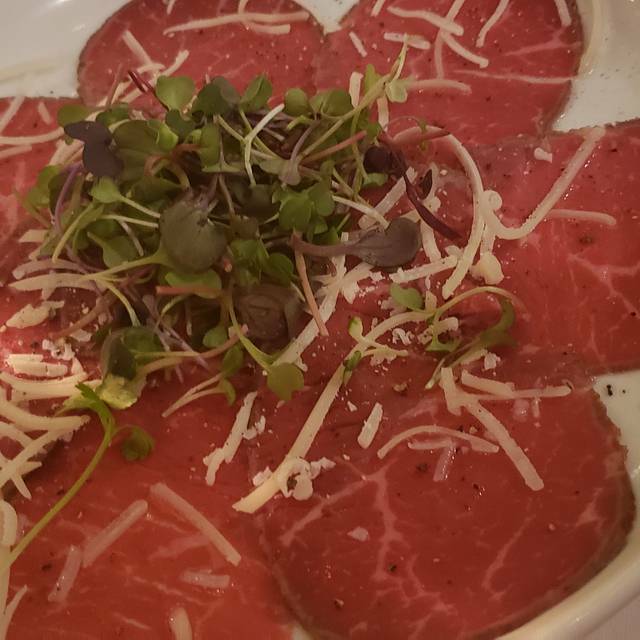 The crab and shrimp poppers were great and the wagyu beef carpaccio was pretty good as well. The cheesecake and bourbon bread pudding was the ice cream on top of the cake. Wonderful experience here, and hope to return again soon! I definitely recommend! The staff is very polite and well-trained. Bravo. One of the best food experience I ever had. I was very happy with the service, from the Host to the Server and the Manager. Keep it up! I almost don’t want to tell others so this place remains a hidden gem but this is a GREAT steakhouse tucked in an office park. We’ve been twice now and both times it was fantastic all around. The filet is delicious and perfectly cooked! 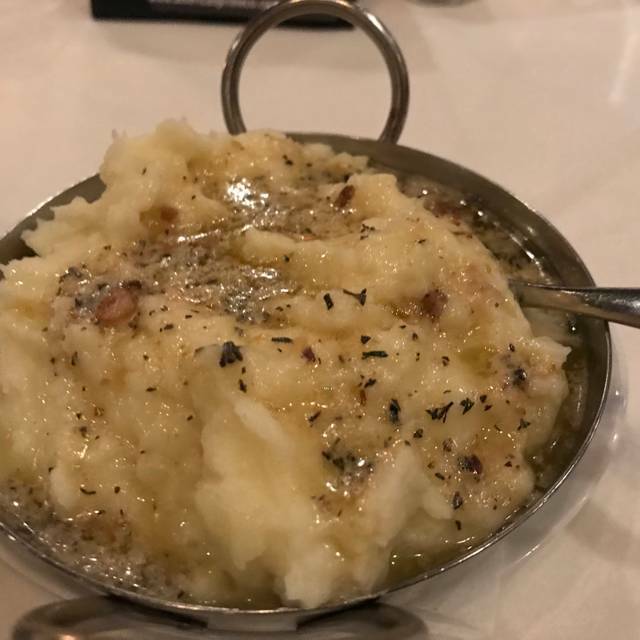 I never thought I would say this but the bone marrow mashed potatoes were so good they ALMOST won over the steak as my favorite part of the meal! Their desserts are delicious: perfect bread pudding and one of the most delicious key lime pies I’ve ever had! We enjoyed the Washington Week menu. We had two delicious, spicy crab/shrimp poppers to begin. 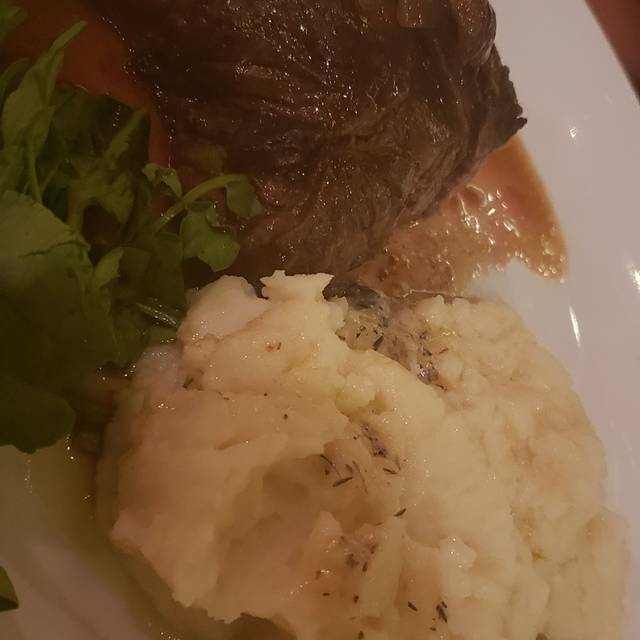 My husband's steak was medium rare when he had ordered medium. Mine was rare and I had ordered medium rare. When it came back, it was overdone and grisly. I ate about half my steak and gave it to my husband. He shared 2 bites of his with me and another 2 bites of medium rare steak from mine. It came with a sweet juice which neither of us liked much. It needed some additional zest, perhaps a flavored butter? Service was wonderful. They poured our red wine into a carafe to let it breathe and poured from that. They offered me a dessert from the menu since I didn't care for any of the options. I ate it over two nights and it was terrific. We will definitely return and try the fish instead. Fabulous! Love Restaurant Week for inspiring us to get out and try new places. Can't wait to go back to American Prime! Absolutely love this place! By far the best steak restaurant in the DMV area any the best service. I only come here for special occasions but wish I could come more often. Good food, a bit pricey. Great food and service! Already planning what to try next time. The crab and shrimp poppers are great. We did the restaurant week menu. Great value. First time dining at American Prime. It is a little difficult to find since it is tucked into a business park. We went for restaurant week menu so it was definitely worth the trip. We all had 8 oz fillets which were excellent. Crab/shrimp poppers were not like bar food - but rather real house made and very tasty. 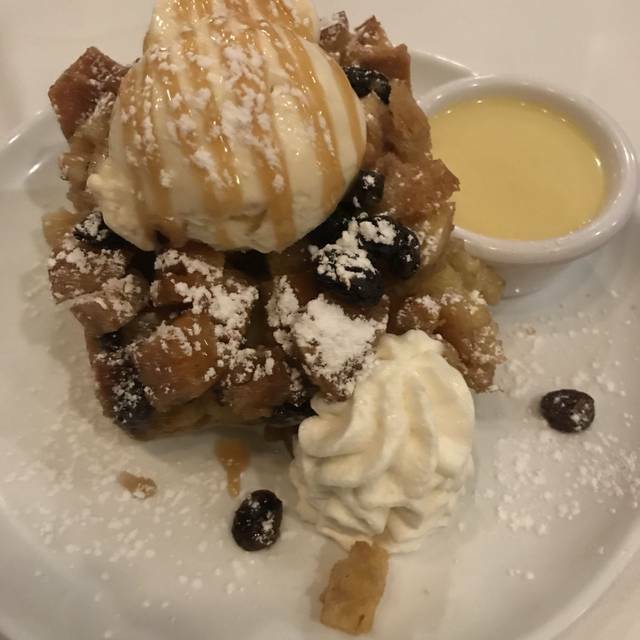 Bread pudding was a hit. Overall a good new restaurant to try. We got amazing service from our server, Oz. I would go back in a minute. Very romantic birthday dinner for my boyfriend. The ambiance was very relaxed and they checked on just the right amount. Food was amazing as well! What a great last minute find for my wife and I on NYE! The staff was friendly and warm and it was a great treat to meet the owner/head chef!!! 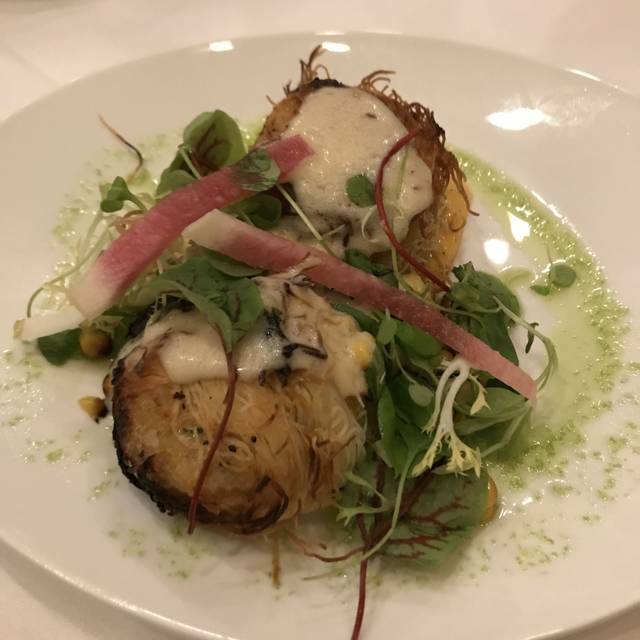 The food was fantastic and we can't wait to go back again.